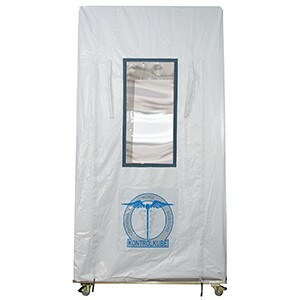 Enclosure only for use with Kontrol Kube® TopSider Portable Containment System. > Vacuum Port Dia: 8"
> Negative Air Port Dia: 12"
NOT INCLUDED: Frame (6540), Wheelbase (6543), Negative Air Machine (6560) and AirBase (6542). Items sold separately.